The selection is an overview of the materials available for architects and designers to call-upon in their designs, and features some of the raw materials employed in the design objects and furniture on display. The display has proved so popular that the Design Museum have specially mounted the material samples to protect them from all the visitors! 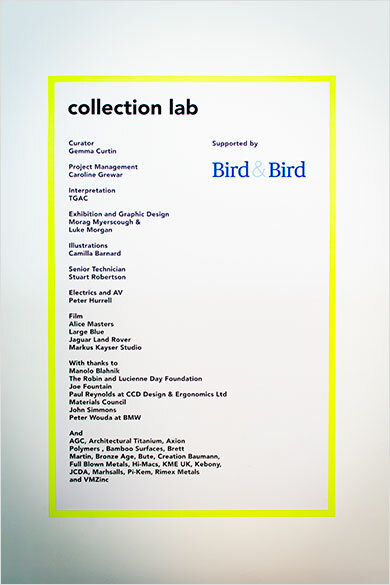 Materials Council also provided support for the Design Museum’s Designers in Residence programme, assisting the participants in the development of their projects.